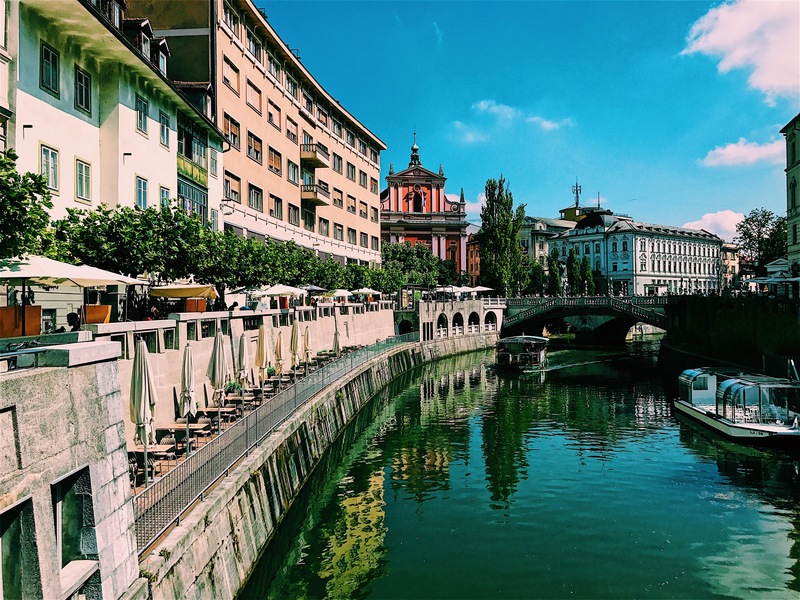 Slovenia, Ljubljana is as charming as a city can be. The surroundings, the people, the man made river that runs right through the heart of the city and the faultless weather, you can’t ask for anything more. 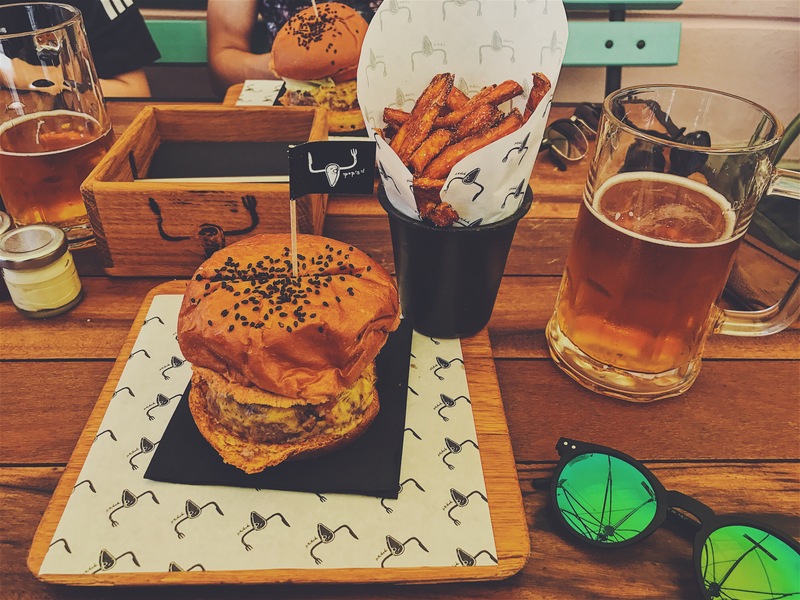 With a few days of exciting activities ready to begin, It was lunch time on the first day and a burger sprung to mind. Pop’s Place was situated on the river on a busy side street with large awnings to save you from the hot weather. 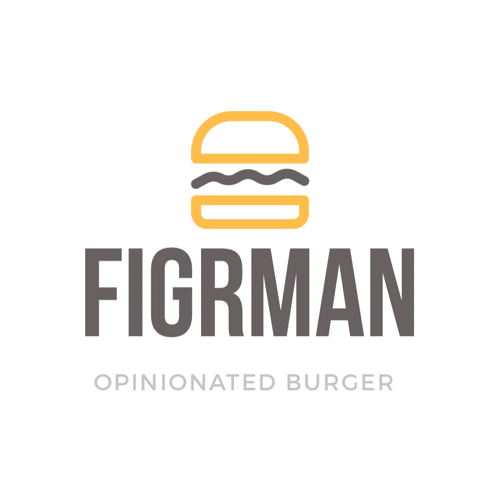 I am the first person to give recognition to a restaurant who has clearly crafted each individual burger to provide the best possible product to their customers. This is what I feel Pop’s Place has done here, or attempted at least. This burger sounded like it should of blown me away, but it didn’t quite get there. The bread was weak, the meat was undercooked (for me) and there was too much sauce. But, the bacon was shredded into small chunks which sunk into the melted cheese and not forgetting the onion ring, possibly the nicest I’ve had to date. I’ve come to the point in my blogging career that I feel it a necessity that I consider all aspects. Service, surroundings and effort in the production have been taken into consideration, giving this of burger a rating of 7.4 out of 10. – Piccadilly Gardens, Manchester, England. On this sort of ‘quest’ I’m partaking in to find the most exquisite burger, I’m coming across some very interesting yet questionable burger combinations. I had been meaning to visit Byron Burger for some time now, and a free afternoon with no dinner plans made it possible. 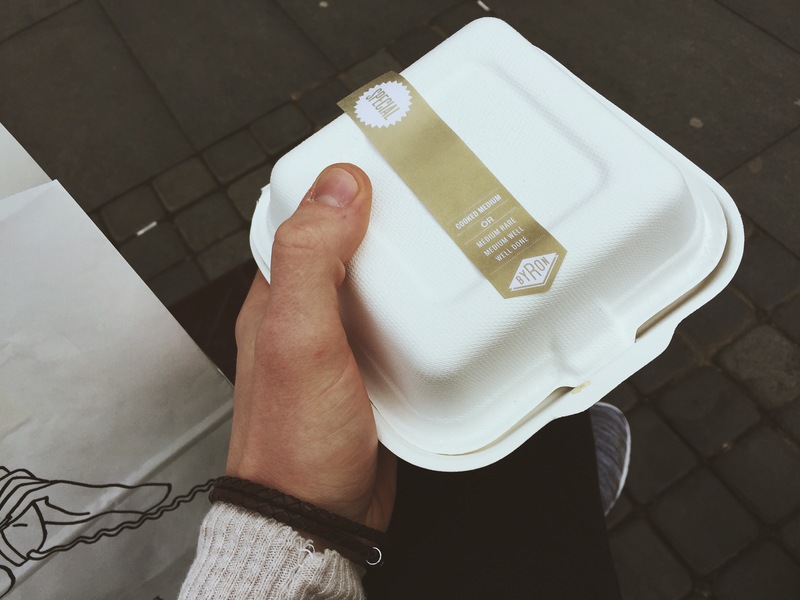 As it was a beautiful evening in the centre of Manchester, I made the conscious decision to take my food to go. I did have my doubts though as eating a mammoth burger, simply as I walk, can be tricky even with a table and a chair. 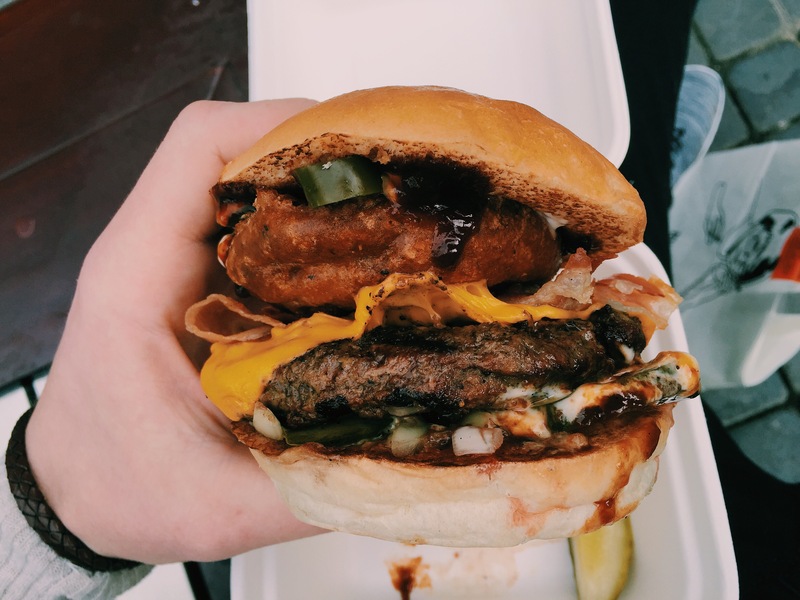 My choice of burger was the highly anticipated, exotic sounding burger named the ‘B-Rex’, it’s contents were ‘6oz hamburger, onion ring, streaky bacon, American cheese, jalapeños, pickles, onion, BBQ sauce and mayonnaise’ all which sounded abit too extreme for one bun. As I opened the rigid take away box to reveal the creation, it did in fact look too extreme for one bun. 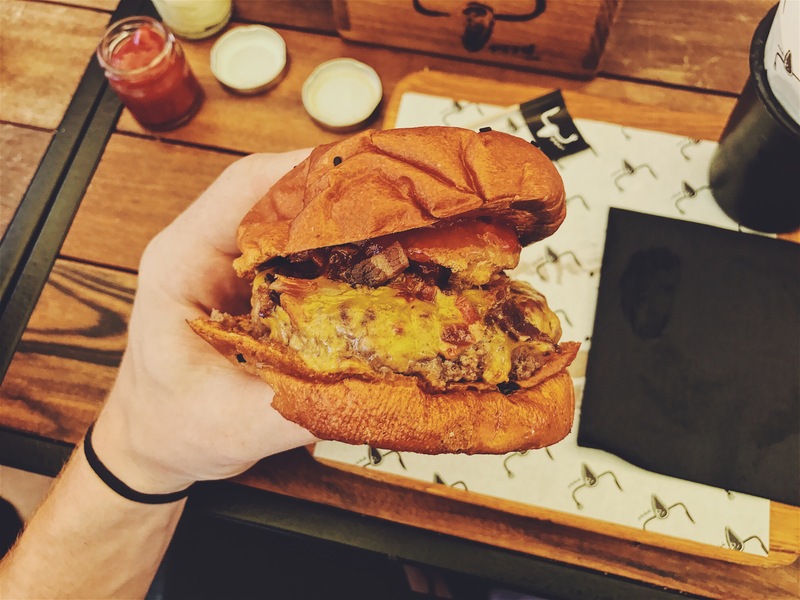 Unfortunately the first few bites weren’t of the whole burger as it was so highly stacked, but this didn’t bother me as the taste was so heavenly. 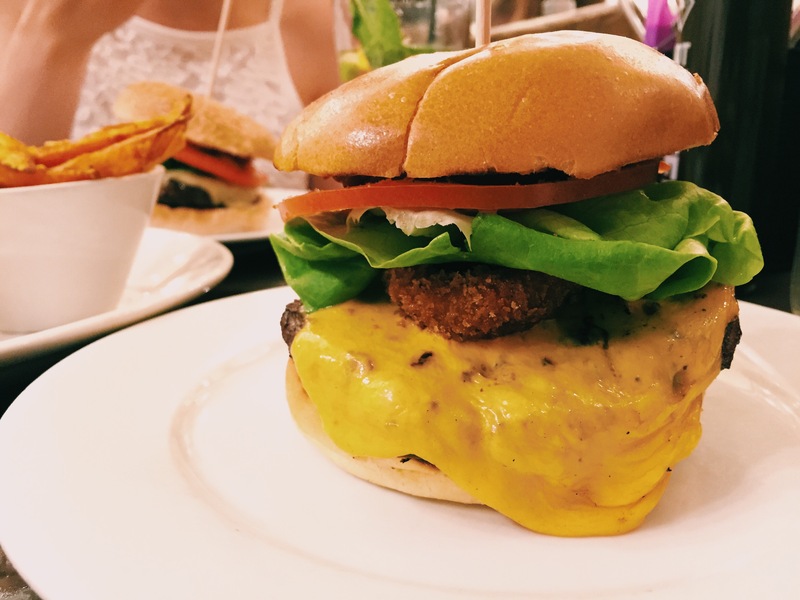 The brains behind the Byron creations really did their research for this burger as every single factor worked brilliantly together. The jalapeños gave the burger a slight kick, the crispy onion ring gave a delicious twist and finally the bacon and cheese gave a sense of simplicity to the burger which was all very worth my time and money. The only downfall was when I recieved the burger, it wasn’t very hot. For some people this would be a major problem, but for myself not so much. 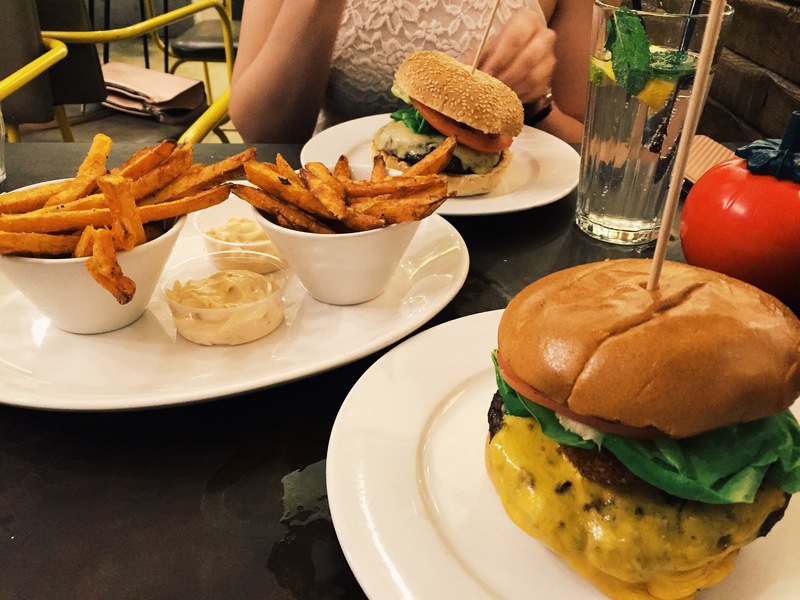 Forgetting this, the burger was very delightful and I have to return back to Byron Burger to eat many more. I rate the ‘B-Rex’ a 9 out of 10.